Selmer Thunderbird Twin Thirty combo. 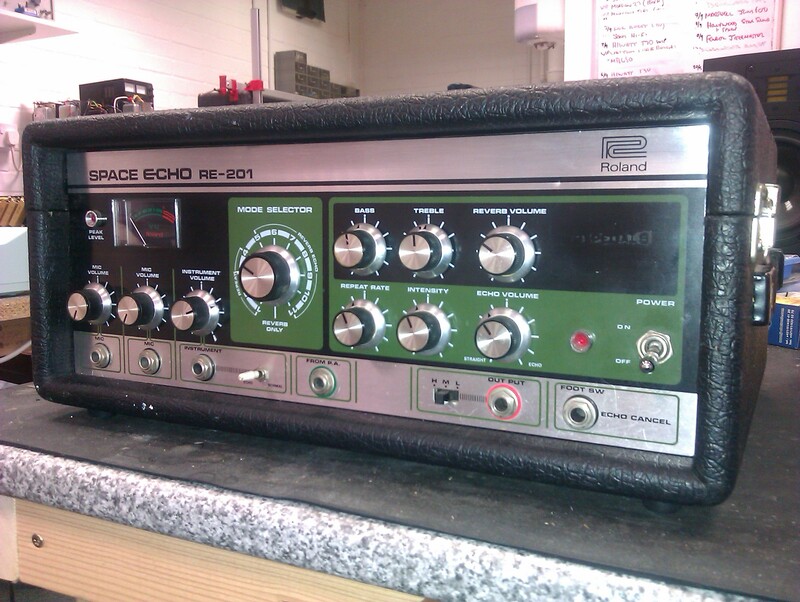 The classic Roland RE-201 Space Echo. A service including some new tape transport items, plus a new reverb driver IC brought this great echo unit back to life.